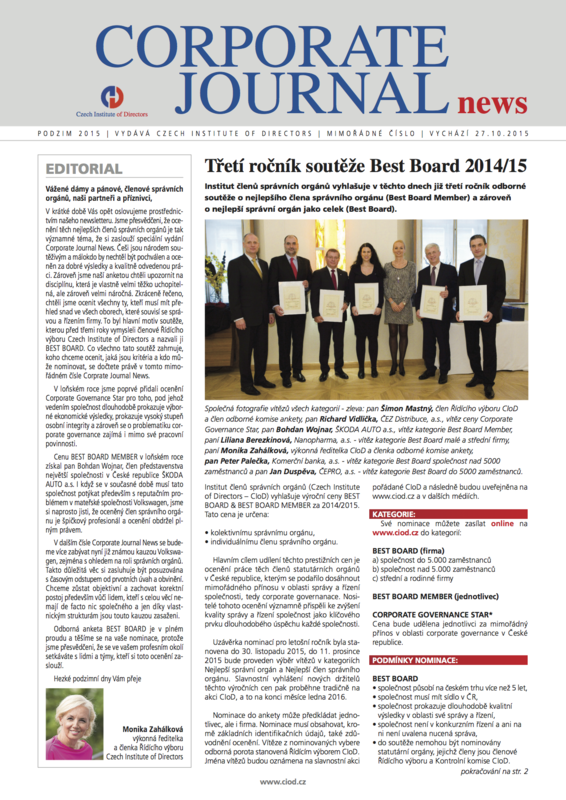 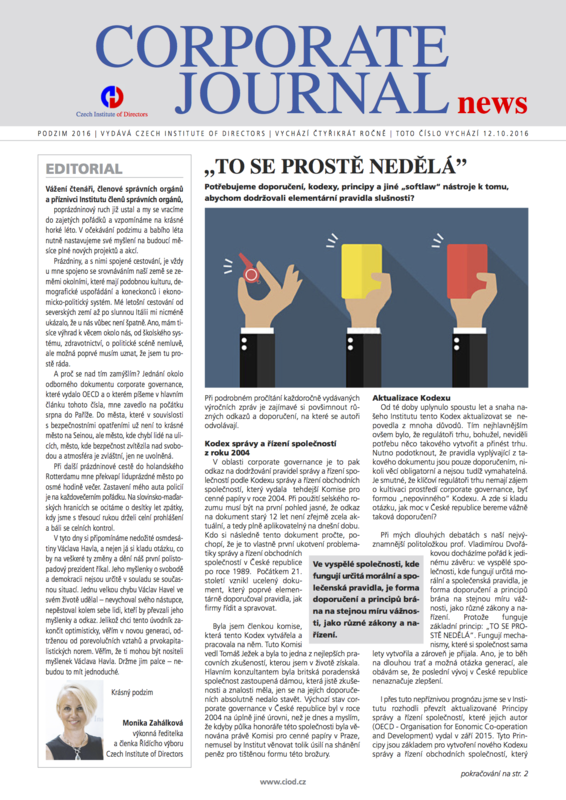 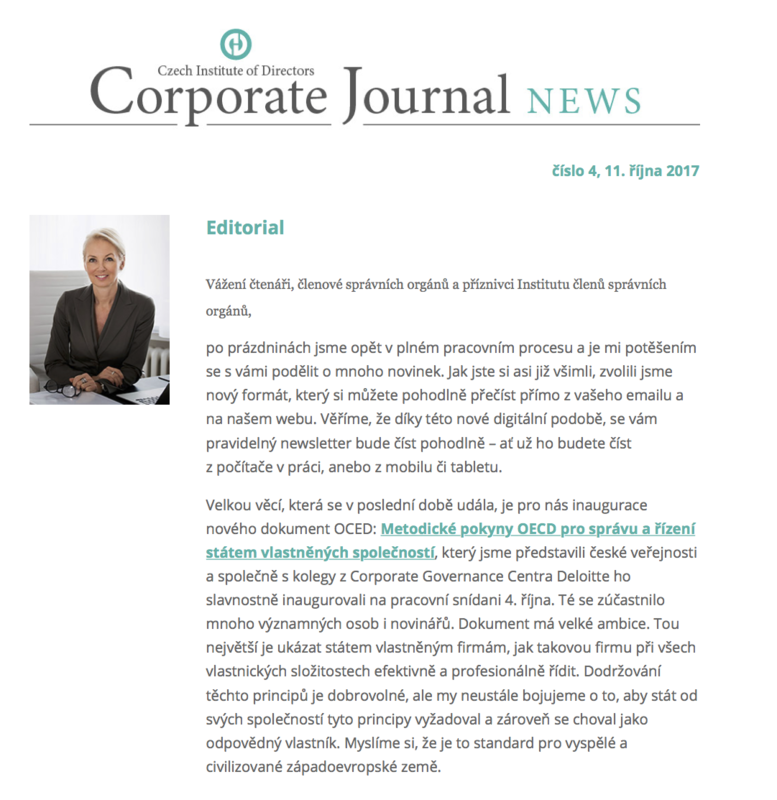 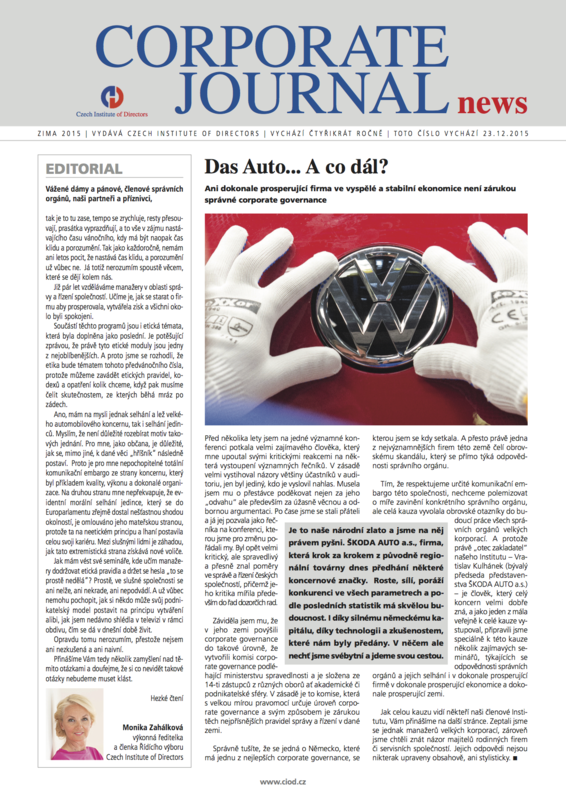 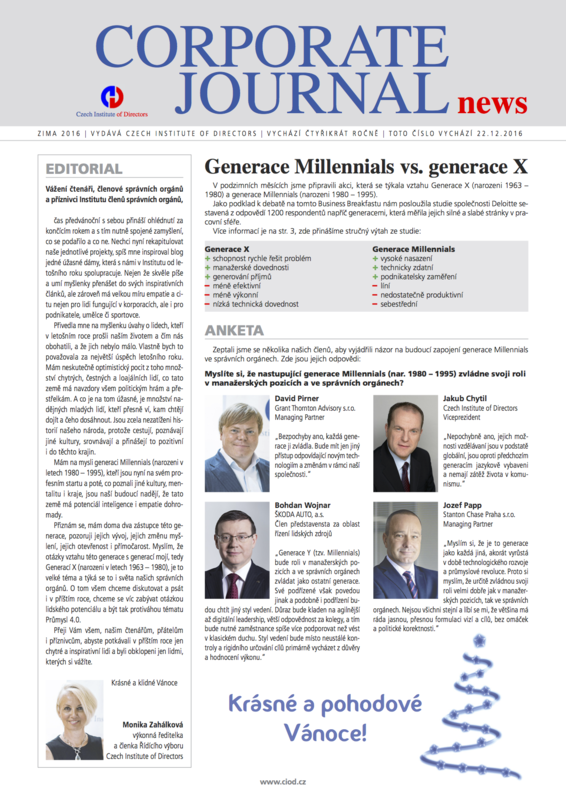 We have been publishing Corporate Journal News regularly since 2007 (in Czech language only). 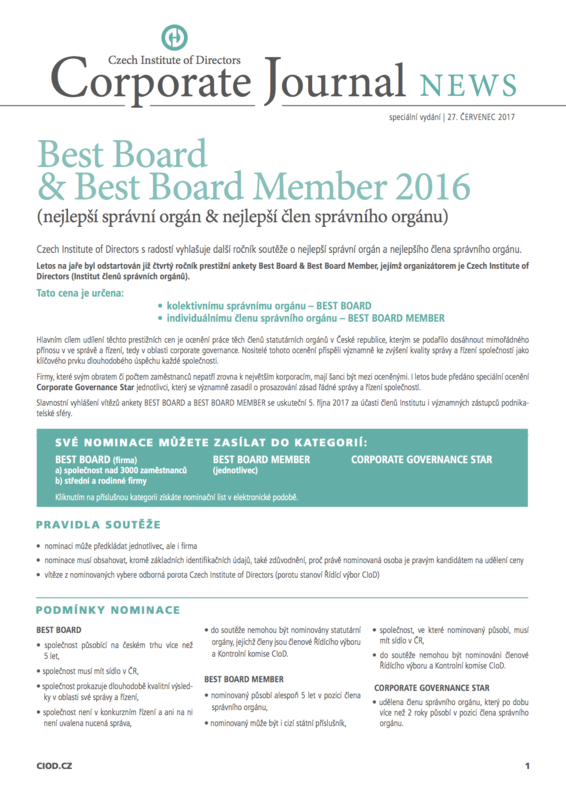 In each of the issues we are working on many practical examples to show how to apply the principles of corporate governance practices. 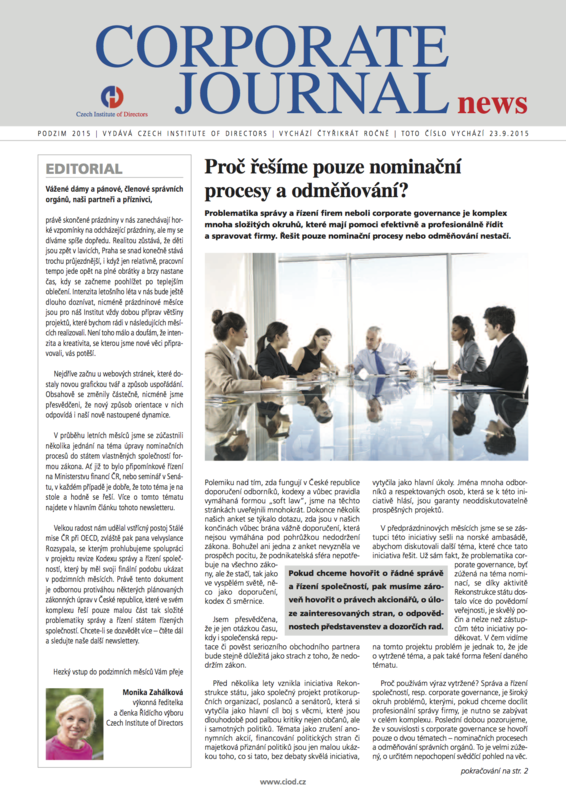 We are also touching on current topics. 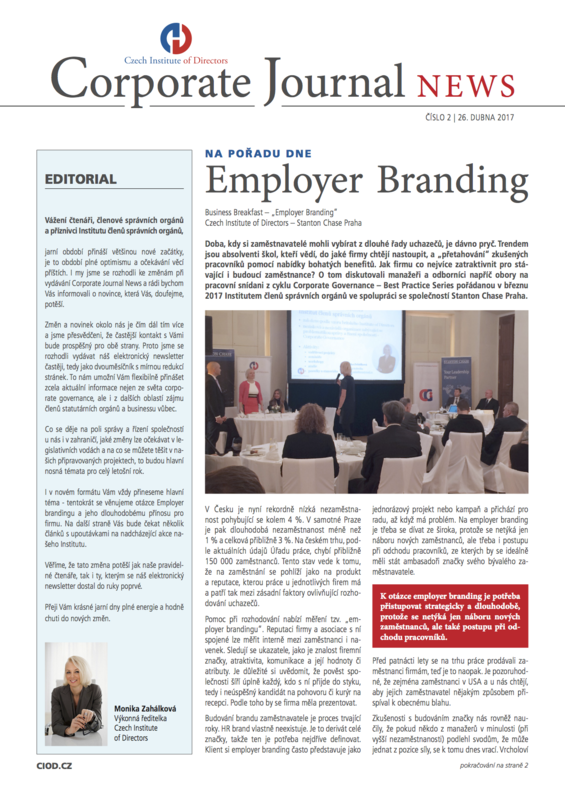 The journal is published five times a year and is primarily intended for members of the governing bodies to facilitate orientation in the issue. 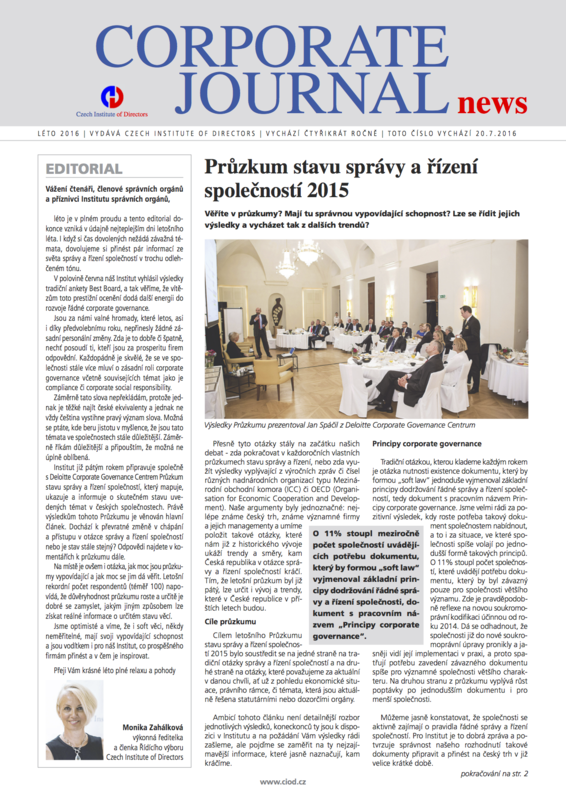 Máte zájem dostávat Corporate Journal News pravidelně do vašich emailových schránek?